Eleven Seven Music has set an October 29 release date for "The Best Of Buckcherry". 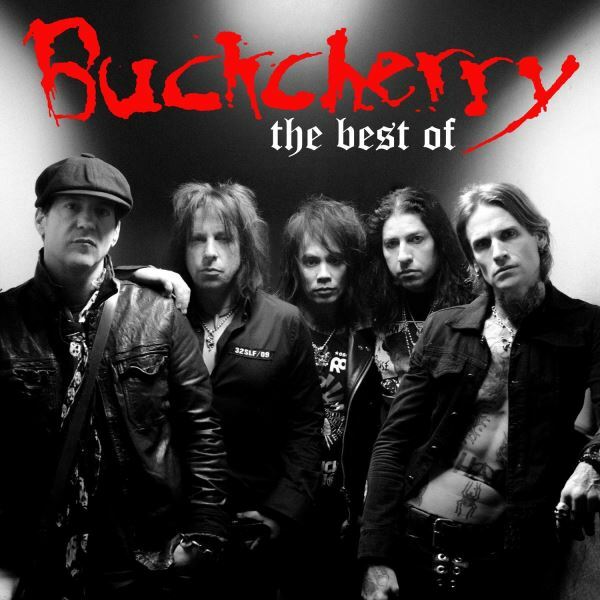 "The Best Of Buckcherry" is the culmination of 15 years of non-stop hard work that has resulted in unprecedented success and has made BUCKCHERRY the standard for the great American rock band. Not many bands have been successful in merging punk grit, gutter attitude, honest-to-God storytelling and razor-sharp hooks and see the overwhelming success that BUCKCHERRY has had throughout their careers. Somewhere between reaching gold status with their self-titled debut and achieving the status of an international platinum-selling phenomenon, BUCKCHERRY has also supplanted themselves as pop icons with party radio hits that spread throughout their entire catalog. The liner notes for "The Best Of Buckcherry" were written by renowed by radio personality and "That Metal Show" co-host Eddie Trunk. BUCKCHERRY's sixth studio album, "Confessions", sold 18,000 copies in the United States in its first week of release to land at position No. 20 on The Billboard 200 chart. The CD was produced by guitarist Keith Nelson and Marti Frederiksen (AEROSMITH, OZZY OSBOURNE) and features eclectic CD artwork by graffiti artist Ewok. The band's previous CD, "All Night Long", opened with around 28,000 units in August 2010 to debut at No. 10. BUCKCHERRY's fourth studio effort, titled "Black Butterfly", premiered with around 47,000 copies back in September 2008 to enter the chart at No. 8.